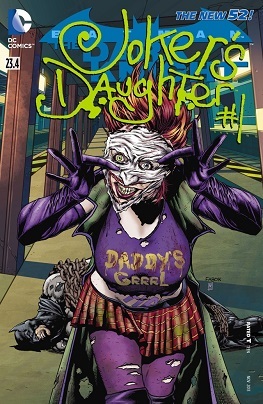 So... since we've been discussing the Joker's Daughter, why not look at her first real issue? 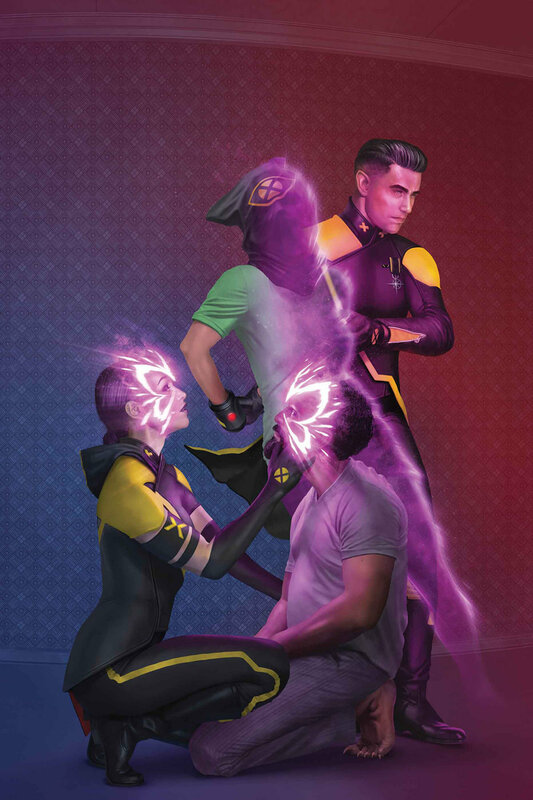 She debuted one issue before this, but this is her official debut. Warning for violence and self-harm. SERENITY #1: And I'm crazy for not believing it. Four pages of SERENITY: LEAVES ON THE WIND #1 have been posted. Here are three more, the first three pages of the series. 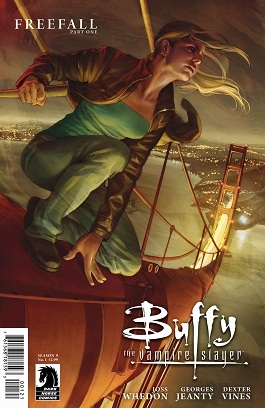 Buffy the Vampire Slayer Season Nine #5 : Oh Snap! DC 1,000,000 my favourite crossover ever! 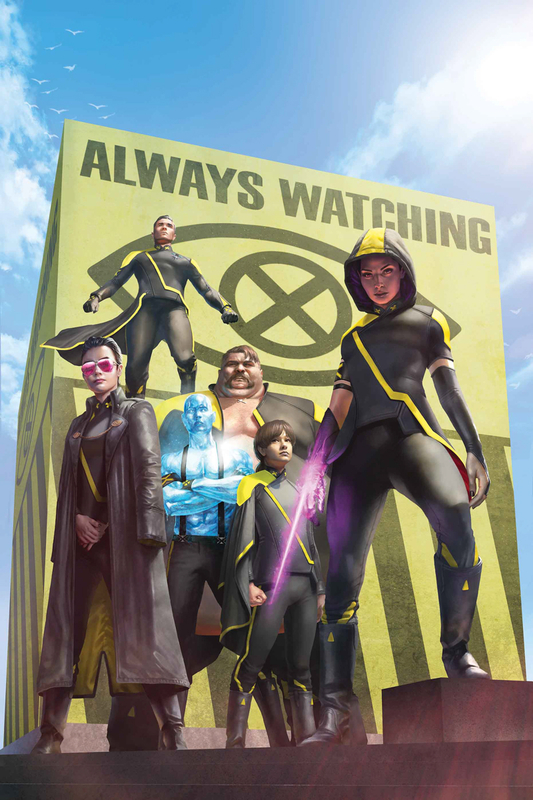 For me it's one of the rare - perhaps the only - where all tie-ins were worth reading, because they were plotted by Morrison, excepting for Garth Ennis' Hitman. Sometimes I think of it as DC's most creative months; each issue was just crammed with awesome, funny, twisted concepts, redesigns and revamps. If it hadn't been for this crosoover, I probably wouldn't even be much of a DC fan. It was this love letter to its rich history that showed me just what an amazing universe the DCU is. One page under the cut. This issue, MAN OF TOMORROW #1,000,000, continues from the end of ADVENTURES OF SUPERMAN #1,000,000, posted yesterday. Modern Superman is taught the hundreds of millennia-long history of the Superman Dynasty, a history that spans the 20th century all the way to the 853rd. Current Music: Fushitsusha, "I Sink Down In Search Of Your Breath's Abode"
Man, even if you didn't pay attention to the credits, you can easily tell Whedon's back at the series's writing desk just from the dialogue. To recap: Last issue ended with Spike showing up in a UFO to rescue everyone.